The WorX by Maia is a group fitness studio in Alexandria, Virginia that specializes in high-intensity boot camp classes. Owner Maia Paglinawan is a four-time state rugby coach and former college athlete. She needed a competitive website to match her impressive studio that has provided her clients with astounding results, so she turned to Fitness Website Formula. She chose to work them after meeting the team at the Fitness Business Summit and hearing about their fitness website expertise from fitness marketing leader Bedros Keuilian. Maia was ready to take her website to the next level so that she could continue to grow her business. She wanted a website that would generate leads on its own so that she could focus on her clients instead of marketing. 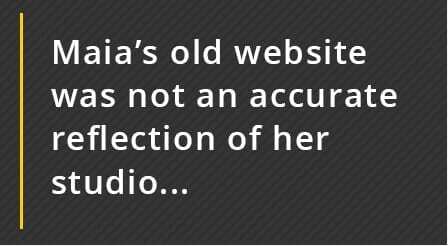 She was also looking for a website design that accurately represented her impressive studio. It was important to her that the website showcased the inspiring community that she trains. After collaborating with Fitness Website Formula, the website was completely redesigned with an attractive user-friendly layout and an easy opt-in feature to maximize lead generation. The new website was equipped with search engine optimization to give Maia all the tools she needed to attract new clients. The website was up and running in just two weeks so that it could be ready for a big event Maia was hosting. Maia thought that “the biggest change is that people now understand what we are and it’s clear what services we provide.” Once potential clients could see everything she had to offer, she immediately started getting more leads. After the launch of her new website, her average class size has increased and she gets an average of 82 leads a month. In just nine months her website has generated over 10,000 hits and that number keeps growing. She often finds her voice mailbox to be full because so many people are interested in trying out her classes. Maia would recommend Fitness Website Formula to any fitness professional looking to transform their business. She feels that “Shingo and his team are very personable. They go out of their way to truly customize your website to fit your needs.” She looks forward to continuing working with Fitness Website Formula and watching her studio continue to grow. Claire Sigler is our marketing coordinator intern from Pasadena, CA. She has a background in Public Relations and Marketing and is passionate about the fitness industry.